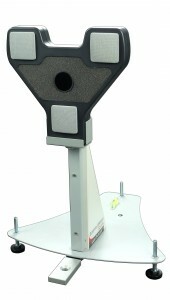 Along with the new SAM PuttLab 6 software Science & Motion Sports releases the 3rd generation of the SAM PuttLab system. The new device combines outstanding accuracy with elegant and modern design in dark grey color. Roll out starts in February 2018. The system can be previewed at the PGA Show 2018 in Orlando, FL. Until the end of the PGA Show we offer a special discount on new SAM PuttLab orders. More information about SAM PuttLab can be found in our newsletter.